Best chance of Saturday: "Posh Trish has a lot in her favour in the 12:10 at Newbury"
I was delighted to see Posh Trish get off to the perfect start over hurdles at Chepstow in October after summering so well. She is a powerful, imposing and genuine mare who jumps like a natural and there was no disgrace in her failing to give 5lbs to Lust For Glory at Newbury next time on ground that was quicker than ideal for her. Posh Trish is now 8lbs better off with Lust For Glory for three-and-three-quarter lengths and will find the rain softened conditions much more to her liking, so I am very hopeful she can turn the tables this time. Big chance. He returned with a super run at Ascot where he travelled like the best horse for much of the race and kept on nicely into fourth place over three miles in a competitive handicap, despite a couple of mistakes late on. I've had this race in mind for him for a while and dropping him back in trip a couple of furlongs could play to his strengths. There was much to like about his performance when third behind Willoughby Court and Yanworth over these fences last season. So with track, trip and ground all in his favour, I'm hopeful of a big run by Adrien Du Pont. His owner JP McManus loves to have runners in this race named after his great friend Sir Peter O'Sullevan and both of his will carry Sir Peter's colours. Brelan d'As has become frustrating since a promising chasing debut last season and although he ran well enough at Hereford recently he wasn't that fluent at times over his fences. Even so I felt he looked a shade unlucky in finishing a close second to Amoola Gold over the minimum trip of two miles. He is still quite inexperienced over fences, has won over this longer distance and is quite capable when he puts it altogether. But being realistic I'd say he needs to improve to play a part in the finish. The second of JP's duo, he is a huge, rangy horse who took a long time for the penny to drop last season, looking to need the experience in three outings over hurdles before winning nicely on his debut over fences at Bangor late in April where he was left in the lead at the second last before pulling clear on the flat. That was a welcome step forward by Kapcorse who seemed to appreciate jumping the bigger obstacles. But his lack of experience over fences let him down at Newbury 23 days ago when he looked green and backward and didn't jump with any confidence. Kapcorse does need to sharpen up his jumping and should do so as he grows into his gigantic frame. A full brother to Le Prezien, this is a horse I've always loved. Everything about him suggests that he will make a really smart chaser one day and I am still confident about that, despite his defeat by the high class mare Maria's Benefit at Newton Abbot in October where the ground was officially heavy. Mont Des Avaloirs has a big physical presence and still has a bit of growing up to do. He didn't jump with any fluency at Newton Abbot, so is back over hurdles here and it could be that we look after him this winter and put back his chasing programme until next season. I'm sure the best is yet to come from Mont Des Avaloirs who worked great on Thursday morning. Bryony Frost and Black Corton appeared together at just about every dance last winter and carried off the top prize most times. I still can't quite believe that they ended up winning eight times over fences. They were back together again four weeks ago at Wetherby where despite a hairy moment that Bryony did brilliantly to survive Black Corton put up a career best in finishing a close second to Definitely Red who was rated no less than 11lbs higher than him. That tells me he is on a roll, so although he was raised 4lbs for that excellent effort in my view he comes here with a serious chance. 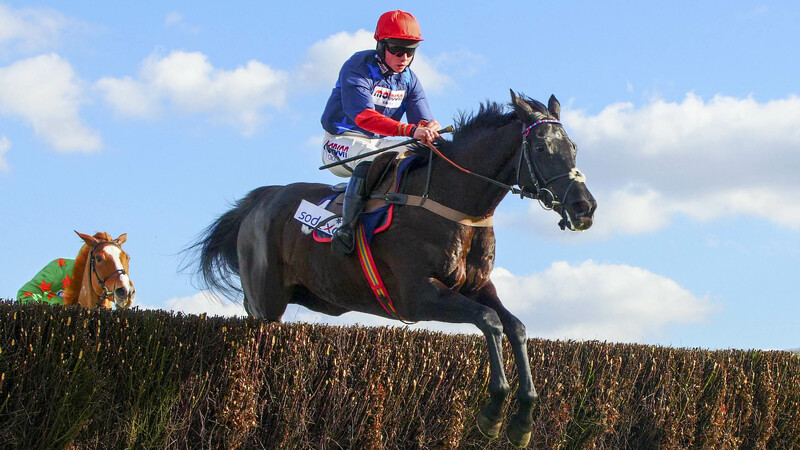 Black Corton is just like another of my prolific chasers Frodon in that they are always underrated. On the form book he has every bit as good a chance as Elegant Escape and Ms Parfois who are much shorter than him in the betting. Last year, I ran Black Corton just about every other week. This year I have trained him properly with one prep run ahead of the big one and the bonus is that he is taking on the smallest field in the Ladbroke for years. Thirteen runners. That's ideal and he goes to Newbury with a right chance. A wonderfully tough and consistent horse who ran to his form all season and ended up completing a hat-trick in the spring over hurdles. 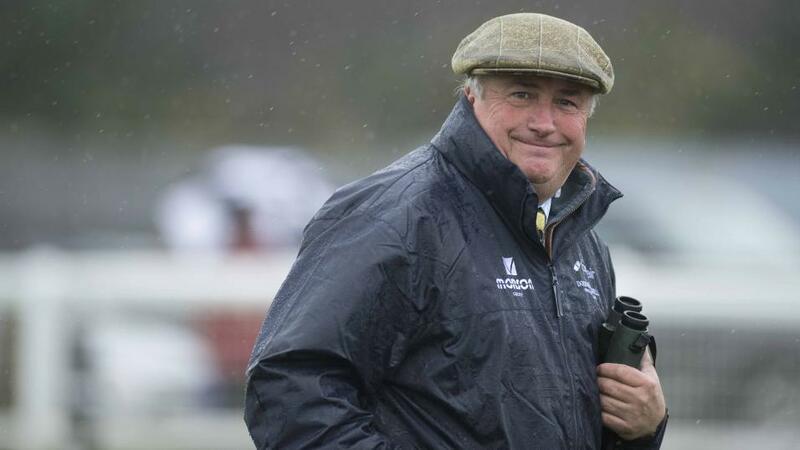 He is a straightforward type with a great attitude towards his job and earned a well deserved holiday after just failing to win his first chase at Newton Abbot early in May. I did consider running him in the Persian War Hurdle at Chepstow in October but had to be patient as he needs plenty of cut in the ground. Blu Cavalier was always going to be a chaser, has schooled nicely at home and is ready to go now that the rain has finally come.